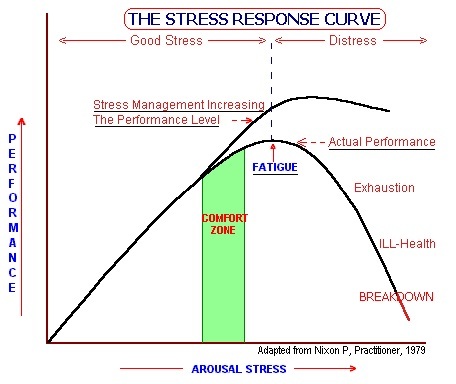 The relationship between stress and performance has been portrayed by the stress response curve created by Nixon P. in 1979. In addition, pressure, an important stressor, has also a crucial influence on an individual's response to stress. As shown by the graph, performance levels increase when stress management is effective. Stressors such as pressure and demands can facilitate better stress response and thus, higher levels of performance. For instance, a basketball player tries to run faster, shoot a three-point shot and succeeds in it because of the pressure he has obtained from the audience, the close scores and the tough opponents. Another example is the short but adequate deadline given to an employee, which motivates and encourages her to work actively and efficiently on the project assigned to her. Yet another instance is an approaching major examination which leads a college student to double time on studying and reviewing of lessons. When stress is perceived as uncontrollable or unmanageable, the person begins to experience a gradual to drastic decrease in performance levels, causing a decline in productivity and enthusiasm to respond to the stress. 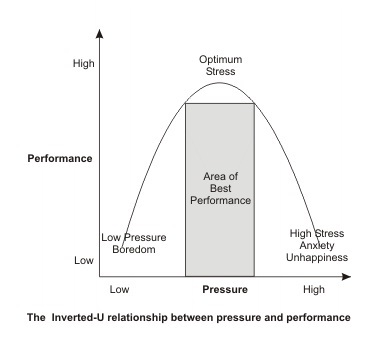 Pressure, one of the significant life stressors, affects performance, as shown by the “Inverted-U” graph below, which was created by Robert Yerkes and John Dodson in 1908. Looking at the left side of the graph, you will notice that low pressure or low levels of stress results to s person’s stress response as “boredom” or unchallenging. Even if the task is of great important, in the absence of an appropriate level of pressure, attention and concentration to perform the task are significantly low. 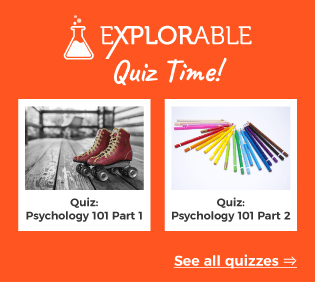 On the other hand, extreme levels of pressure doesn’t mean high performance levels; rather, it’s the same as the result from low pressure – low performance levels due to “unhappiness” or negative feelings due to overwhelming stress. However, there’s a region called the “area of best performance”. In this region, moderate pressure resulting to optimum stress or stress that is totally manageable leads to the highest level of performance.